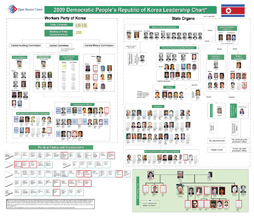 The structure of this chart is primarily taken from a reference pamphlet published by the South Korean Ministry of Unification in January 2009, which appears to be based on the DPRK constitution. 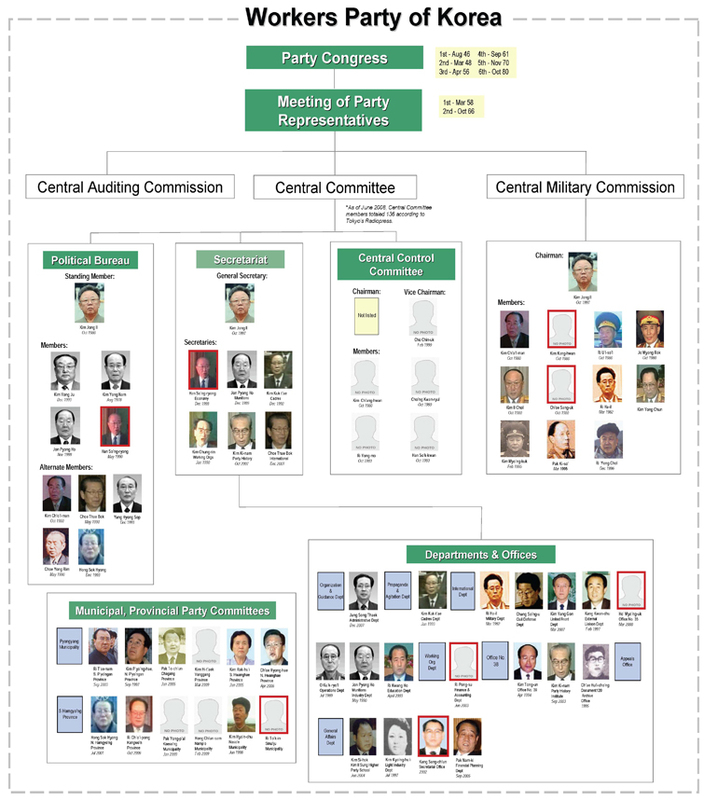 As such, this chart is a representation of the formal relationships between the various entities and does not necessarily reflect the actual hierarchy and power relationships in the North Korean system. 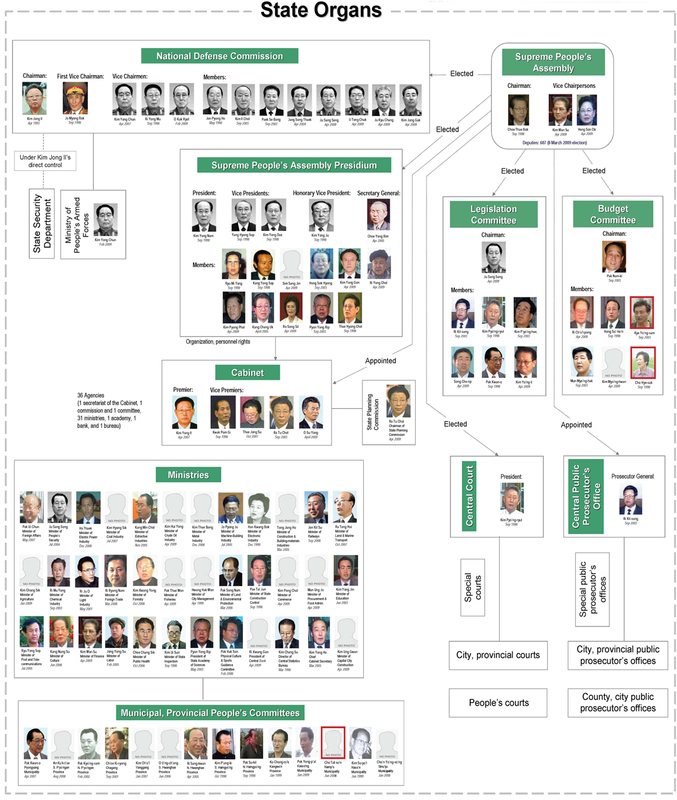 Other sources include: DPRK, ROK, PRC, and Japanese media; the ROK National Intelligence Service website; the Ministry of Unification’s Key Figures of North Korea 2009; and Japan’s Radiopress North Korea Directory 2008.